Want to know how bad a year Ryan Reynolds is having? "Green Lantern" and "The Change-Up" were so poorly received that the studio completely left the poor guy off the poster for "Safe House." But things are looking up as he's been included in the trailer which dropped today. Denzel Washington stars as an ex-CIA gone rogue who one day just shows up an agency safe house run by Ryan Reynolds, who quickly finds his tiny little compound under siege. Between the presence of Washington and the look and pacing, you'd swear it was a Tony Scott film, but no! "Safe House was directed by Daniel Espinosa, who made a huge splash last year with Snabba Cash." 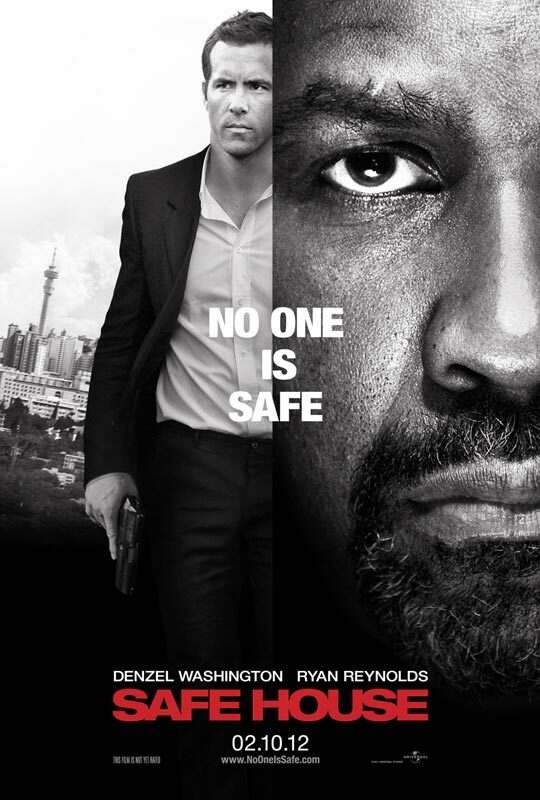 Oscar winner Denzel Washington and Ryan Reynolds star in the action-thriller Safe House. Washington plays the most dangerous renegade from the CIA, who comes back onto the grid after a decade on the run. 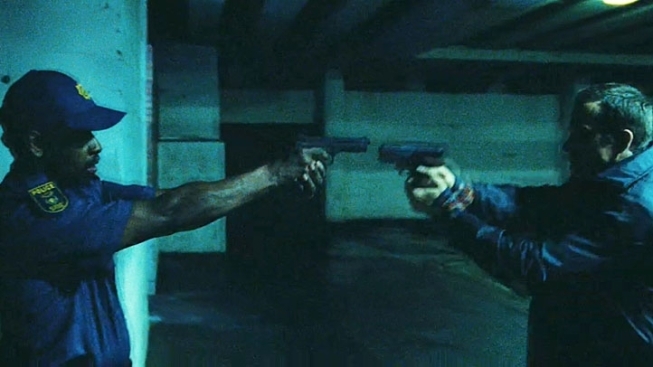 When the South African safe house he's remanded to is attacked by mercenaries, a rookie operative (Reynolds) escapes with him. Now, the unlikely allies must stay alive long enough to uncover who wants them dead. For the past year, Matt Weston has been frustrated by his inactive, backwater post in Cape Town. A "housekeeper" who aspires to be a full-fledged agent, the loyal company man has been waiting for an opportunity to prove himself. When the first and only occupant he's had proves to be the most dangerous man he's ever met, Weston readies for duty. Tobin Frost has eluded capture for almost a decade. One of the best ops men that the CIA's known, the ex-intelligence officer has given up assets and sold military intel to anyone with cash since he turned. From trading secrets to North Korea to aiding splinter cells, the damage he's done to the U.S. is immeasurable. And he's now back on the reservation with a secret. As soon as Frost is brought in for debriefing, mercenaries come and tear apart Weston's safe house. Barely escaping, the unlikely partners must discover if their attackers have been sent by terrorists or someone on the inside who will kill anyone standing in the way. Now it's up to Weston to figure out who he can trust before they're both eliminated from the game. Just looking at it one gets the sense that the person who wrote it doesn't quite understand what a synopsis is. "Safe House," co-starring Brendan Gleeson, Sam Shepard, Vera Farmiga, Robert Patrick,and Ruben Blades, opens Feb. 10.